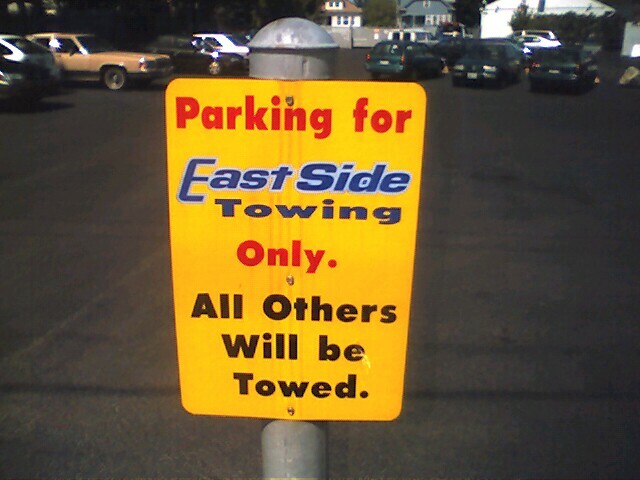 Eye Dull Musings: Tow me where? I saw this sign today while having lunch in Providence. What I'm wondering is since this was the lot for the towing company, where will they tow your car if you park in it? Will they put your car in the street?